Of all of the wedding trends sweeping your Pinterest feed and stash of bridal magazines, dessert tables may be one of the biggest. The allure is clear: Four or five different types of treats are almost always better than one, and, much like your bar, dessert tables can make a great area for your guests to congregate around. But how do you know if forgoing a traditional cake in favor of a dessert table is right for your big day? Here are five things to consider when making the all-important dessert decision. When deciding if a dessert table is right for your wedding, one of the first things to take into consideration is the layout of your venue. A dessert table is likely to take up more space than a traditional tiered cake－and you'll need to leave room for guests to browse your carefully laid spread (and probably take an Instagram shot or two, too). If your venue doesn't come with loads of extra space, a traditional tiered cake that will be served by your caterers may be a better fit. In addition to scoping out where to place a cake table or dessert table, you'll need to keep the look of the venue-and the theme of your wedding－in mind when weighing your sugary options. A traditional tiered cake fits in well when your venue is an elegant ballroom, while an assortment of pies, cookies, and cake pops go perfectly with a rustic or modern wedding setting. Let's not forget that most classic of wedding photo opps. You know the one: The couple cuts into their cake together, hands one over the other on the knife, as a symbolic gesture that is altogether romantic－and sometimes a bit silly, too. It's a rite of passage－and a wedding album favorite－and whether you play nice or shove a piece of sugary goodness into your partner's face, it makes for a truly memorable moment. 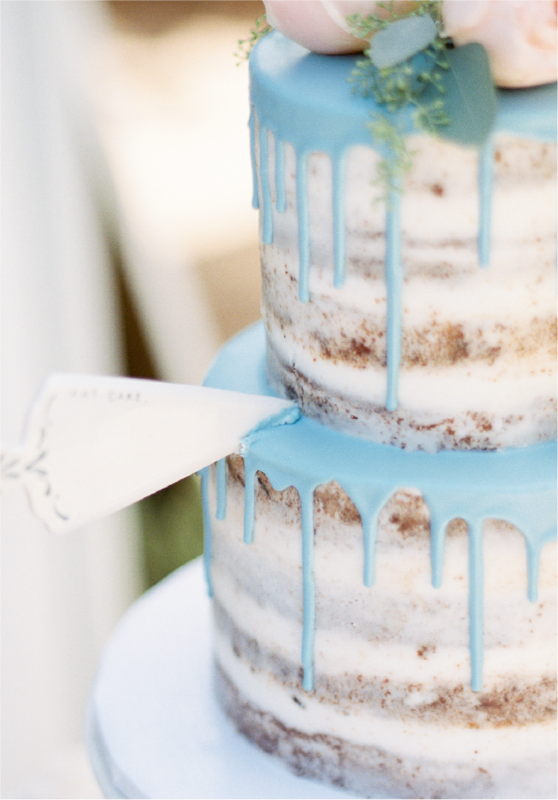 If that long-time wedding tradition is just too good to pass up, the traditional tiered cake may be your style. Or, consider a hybrid approach: Go for a smaller tiered cake for a fun photography session, and complement it with an assortment of Sweet treats for your guests. Dessert tables don't just offer the opportunity for variety-they encourage creativity, too. Cupcakes with your initials are fun, but they're only the tip of the iceberg (or should we say, icing?). What about an ice cream cart stocked with your favorite flavors? Or a cotton-candy machine churning out colorful, Sugary delights? You can even incorporate your wedding theme or family heritage into your dessert. No destination wedding in Mexico would be complete with chocolate-covered churros or tres leches cake. There's also flourless almond cake (a Greek tradition), croquembouche (France's classic tower of cream-filled pastries), and fruitcake (a not-so-sweet Irish and Scottish classic). The more imaginative the treats, the better!